To help maintain sustainable cities that minimize the loss of agricultural and natural areas, by offering formal and informal educational opportunities for Wisconsin residents, civic leaders, and businesses. To encourage the Wisconsin adoption of principles and practices of the New Urbanism to support the restoration of existing urban centers and towns, the reconfiguration of sprawling suburbs into communities of real neighborhoods and diverse districts, the conservation of natural areas, and the preservation of our built legacy. To create opportunities for citizens, and practitioners in private and public service, to learn, exchange and apply knowledge of the principles and practices of the New Urbanism. 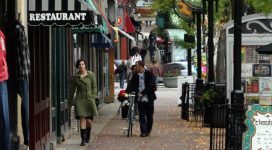 To provide a Wisconsin presence, focus and perspective for the Congress for the New Urbanism.